Up until the early 20th century, cannabis was widely used for the manufacture of rope and clothing, and also as a medicine. Early colonists before the Declaration of Independence were ordered by the King of England to grow at least 100 cannabis plants at any one time. It was not until 1906, with the passing of the Pure Food and Drug Act, that most states branded cannabis a “poison” and required using this term on the label of any cannabis product intended for human consumption. The reason for this was that cannabis was still available in the US as a prescription drug. It was not until the 1930s with the establishment of the Federal Bureau of Narcotics that the real war on cannabis began. Cannabis in any form was branded a poison and a “killer drug”, making people “insane”, “dangerous” and overly promiscuous. This was followed by the Nixon and Regan administrations (both avid enemies of cannabis) and their passing of a number of anti-cannabis laws.The essence of all this can be epitomized in the statement made by the US Supreme Court in December of 1975: “It is not cruel or unusual for Ohio to sentence someone to 20 years for having or selling cannabis”. Of course the DEA (Drug Enforcement Agency), which came to be by the merging of Bureau of Narcotics and Dangerous Drugs (BNDD) and the Office of Drug Abuse Law Enforcement (ODALE), had a large contribution to all of this. Fortunately, in 1978 Mr. Robert Randall sued the government for arresting him for having personal used marijuana for the treatment of his glaucoma. The judge ruled for the FDA (Food and Drug Administration) to establish a grow op at the University of Mississippi to grow medical marijuana for patients. However the whole program was hindered by George W. Bush, and currently only seven patients in the entire US (a population of over 300 million) receive their medical cannabis through this program. Fortunately, a number of states have challenged these ridiculous federal laws and legalized cannabis entirely or decriminalized it (meaning you don’t go to jail for having a certain amount of cannabis for personal use), and/or made it available as a prescription drug. 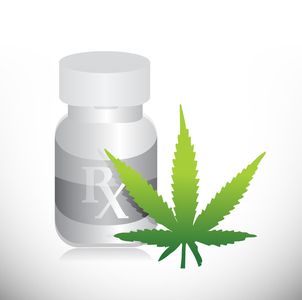 The most well-known states on this list are Washington and Colorado (where cannabis is completely legal both for recreational and medicinal use) and California (where cannabis can be used medicinally with a prescription and where the acquisition of such a prescription is very easy: $50 consultation for back pain for example). Technically speaking, these state laws are in direct conflict with federal laws which consider cannabis a Schedule 1 controlled substance, meaning that it is a substance that is considered to be a poison and that it has absolutely no medicinal value. It is also grouped with such hard drugs as heroin and crack cocaine. Having said this, the federal government, and more specifically the DEA, has the right to prosecute (and confiscate any revenue) any vendor selling cannabis in any state, including the states that have legalized or decriminalized cannabis. Furthermore, being listed as a Schedule 1 substance, any research conducted on US territory must receive the cannabis intended for such research from the National Institute of Drug Abuse (which works closely with the DEA and which controls the Mississippi farms) whose general stance is that cannabis should be researched for its abuse potential and not for its medicinal values. As such, the Institute has a decades long record of limiting, as much as possible, any research on cannabis for determining its (unquestionable) medicinal qualities. It is also interesting to note that this policy is supported by all pharmaceutical companies, who can patent the synthetically produced active components of cannabis but not the plant itself. The overwhelming majority of patients prefer the plant to a pill because of its unique combination of all active components as well as for its unique aroma when smoked or vaporized. Fortunately, pot is on the road to becoming legalized in more states, and because of the pressure from researchers and universities, the National Institute of Drug Abuse is poised to produce 650 kilograms (that’s 1500 pounds) of pot for research purposes in 2014 alone. That’s an increase of over 600 kilograms from previous years. I think we may be finally seeing the light at the end of a dark tunnel that has existed for over a century in the US. Categories: Natural Products, Pain Relief, Stress Relief | Tags: cannabis, herbal, herbal medicine, labeling and regulations | Permalink.